Seven days change me forever. I, Tess Bowden, risk everything I know, everything I am, everything I hope to be for a scarred young warrior from another world. It’s the week I discover my powers. The week I nearly die. The week I learn to kill. Weird thing is, I’m a violence-hating science-nerd. And a big-time Marvel fan. Monday morning, mid-October. Blustery, cold and wet. I’m late for school, munching cold toast on the go, tired and cranky from staying up too late studying for my mock exams. 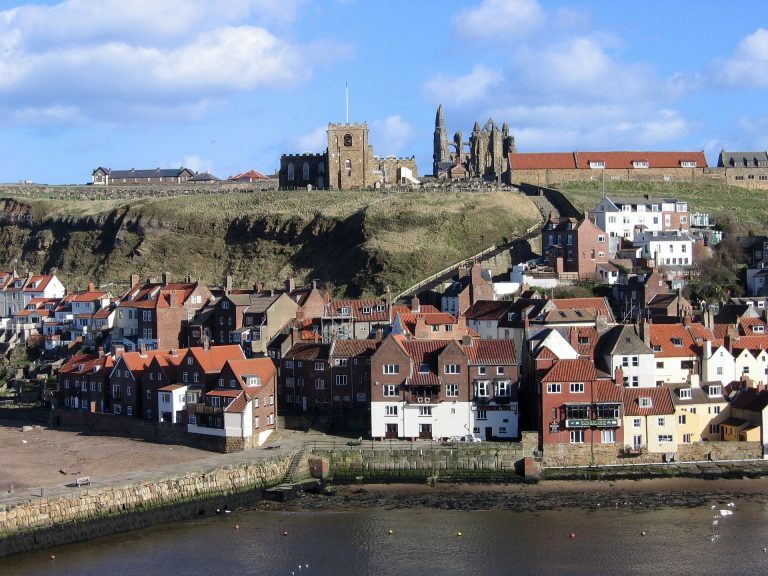 Grey hoodie pulled up, I hustle through the winding streets of Whitby old town. Higgledy-piggledy shops and houses, hidden courtyards, and dark ginnels running down to the shore. I leg it past the steep, stone curve of the 199 Steps—stairway to windswept cliffs and brooding abbey ruins. Seagulls cry and wheel overhead, scavenging for scraps. I scarf down the last of my toast before they dive-bomb me, and scoot round the corner onto Church Street, books clutched to my chest. Something scuttles across the narrow street smack under my feet. Blood-red eyes gleam. Bony fingers tweak my ankle. I stumble and my books spill over the wet cobbles. Muttering under my breath, I bend down and pick them up, hair swinging in front of my face. My glasses slide down my nose. I push them back, arms full of damp books, thoughts full of curses. The demon cackles from a shop doorway. I hate demons. And I’m plagued with the rare–and annoying–ability to see them.